Everybody deserves a warm and comfortable home. If, however, your heater breaks down in the middle of a cold spell, you can depend on the expert technicians at Chelsea Cooling and Heating to diagnose the problem and get your heating system running again in no time! 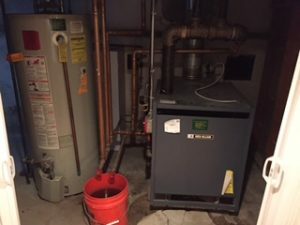 Our licensed technicians provide quality furnace and boiler repair services that will keep you warm and confortable for years to come. We’ll work to restore comfort and warmth back into your home as quickly and efficiently as possible. If any of the above apply to your heating system or if you are unsure about your current heating system, give us a call ASAP. We can diagnose your problem that very day and help you avoid expensive repairs down the road. If your heating system is older than 15 years and is in constant need of repair, put some serious thought into replacing it. High energy bills and frequent repairs are costing you a lot more than you may realize. At Chelsea Cooling and Heating, we know that heating problems are never convenient. When your heating system fails, you can depend on our technicians to get the job done right. Our licensed technicians can repair every type of furnace and boiler, no matter what system or fuel source. No matter what heating system you have, count on us to make the necessary repairs quickly and efficiently. Our licensed technicians are trained to service any heating system you may have. Give us a call today to ensure your warranties stay in effect and that you have reliable and efficient heating all year long.